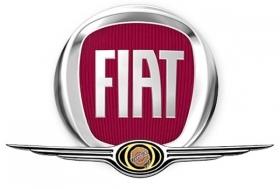 TURIN, Italy -- Both Fiat S.p.A. and Chrysler LLC would fill significant gaps in their global businesses with the proposed alliance announced today. The deal would give Fiat Auto, which sells virtually no vehicles in the United States, manufacturing capacity and a U.S. sales network. It also would give Fiat Auto the global automotive volume that Fiat Group CEO Sergio Marchionne says the company needs to survive. Chrysler, meanwhile, could expand its product portfolio to include Fiats small, less-polluting cars and gain distribution in Europe and Latin America. Chrysler could add volume to its U.S. plants by building Fiat vehicles for sale here. One thing Chrysler doesnt get is money. The deal, which would give Fiat an initial 35 percent stake in Chrysler, involves no cash investment. The nonbinding agreement is subject to due diligence and regulatory approval. It appears that Fiats stake would come entirely from Chryslers majority owner, Cerberus, and not from Daimler AG, which has been trying to sell its remaining 19.9 percent stake in Chrysler. The UAW supports the deal. Automotive News Europe first reported the pending transaction on Monday. Fiat Vice Chairman John Elkann told reporters today that the Italian group could increase its Chrysler stake from the initial 35 percent. According to press reports, Fiat will have an option to take as much as 55 percent. The pact would provide Chrysler with access to competitive, fuel-efficient vehicle platforms, powertrains and components to be produced at Chrysler manufacturing sites, the companies said. Under the terms of the deal, Fiat would make available its distribution network in key growth markets. Substantial cost savings opportunities would be available to the alliance, the companies said. Fiat Group CEO Sergio Marchionne said the alliance confirms Fiat and Chrysler commitment and determination to continue to play a significant role in the global auto industry. That is consistent with Marchionnes view that the current economic crisis will reduce the number of global automakers. In an interview published last month in Automotive News Europe, Marchionne said that within two years there could be only six global automakers. The only way for companies to survive is if they make more than 5.5 million cars per year, Marchionne told the publication, an affiliate of Automotive News. In 2007, the most recent year for which global data are available, the two companies produced a combined 5,386,073 vehicles worldwide, which would have ranked them fifth globally. Fiat Auto produced 2,813,870 vehicles, and Chrysler produced 2,572,203. Although Chrysler has expanded global sales in recent years, its limited presence outside the U.S. has been a longstanding weakness -- one that the acquisition by DaimlerChrysler, which unraveled in 2007, was meant to solve. Nardelli also said the partnership would help solidify the future of Chrysler, which has received a $4 billion federal bailout loan, as well as a $1.5 billion federal loan to Chrysler Financial. The Fiat alliance would provide a return on investment for the American taxpayer by securing the long-term viability of Chrysler brands in the marketplace, sustaining future product and technology development for our country and building renewed consumer confidence, while preserving American jobs, Nardelli said. The alliance, to be a key element of Chryslers viability plan, would provide Chrysler with access to competitive, fuel-efficient vehicle platforms, powertrain, and components to be produced at Chrysler manufacturing sites. Fiat would also provide distribution capabilities in key growth markets, as well as substantial cost savings opportunities. In addition, Fiat would provide management services supporting Chryslers submission of a viability plan to the U.S. Treasury as required. Fiat has been very successful in executing its own restructuring over the past several years. The alliance would also allow Fiat Group and Chrysler to take advantage of each other's distribution networks and to optimize fully their respective manufacturing footprint and global supplier base. The proposed alliance would be consistent with the terms and conditions of the U.S. Treasury financing to Chrysler. Per the U.S. Treasury loan agreement, each constituent will be asked to contribute to Chryslers restructuring effort including: lenders, employees, the UAW, dealers, suppliers and Chrysler Financial. Such steps would greatly contribute to Chryslers long term viability plan. Completion of the alliance is subject to due diligence and regulatory approvals, including the U.S. Treasury. As a consideration for Fiat Groups contribution to the alliance of strategic assets, to include: product and platform sharing, including city and compact segment vehicles, to expand Chryslers current product portfolio; technology sharing, including fuel efficient and environmentally friendly powertrain technologies; and access to additional markets, including distribution for Chrysler vehicles in markets outside of North America, Fiat would receive an initial 35 percent equity interest in Chrysler. The alliance does not contemplate that Fiat would make a cash investment in Chrysler or commit to funding Chrysler in the future. This initiative represents a key milestone in the rapidly changing landscape of the automotive sector and confirms Fiat and Chrysler commitment and determination to continue to play a significant role in this global process. The agreement will offer both companies opportunities to gain access to most relevant automotive markets with innovative and environmentally friendly product offering, a field in which Fiat is a recognized world leader while benefitting from additional cost synergies. The deal follows a number of targeted alliances and partnerships signed by the Fiat Group with leading carmakers and automotive suppliers over the last five years aimed at supporting the growth and volume aspirations of the partners involved, the CEO of Fiat Group, Sergio Marchionne said. "This is great news for the UAW Chrysler team and we look forward to supporting and working with them to ensure Chrysler's long term viability, said Ron Gettelfinger, President United Auto Workers (UAW). We're on board with this important strategic initiative as it will help preserve the long-term viability of our great company, its brands and of course UAW-Chrysler jobs, said General Holiefield, Vice President, United Auto Workers (UAW).